In view of the current refugee crisis, voestalpine is supporting the international aid organization Doctors Without Borders Austria. In the second part of the interview Margaretha Maleh, President of Doctors Without Borders Austria, talks about her personal experiences of working in crisis regions, and organizing missions worldwide. 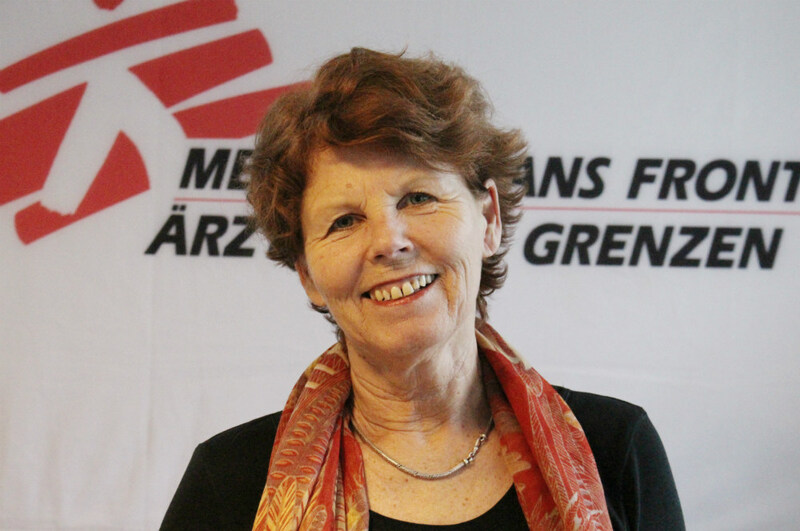 Margaretha Maleh, president of Doctors Without Borders Austria, in an interview. In which crisis regions have you worked on missions, and what were your experiences there? So far I’ve been on four very different project missions, each for a period of 6 to 9 months. My first mission was in 2008/09 which took me to Papua New Guinea. Here Doctors Without Borders had established a center to provide medical and psychological treatment for victims of sexual and domestic abuse. During my mission in Iraq in 2010/11, mainly in Baghdad and Fallujah, my role was to train and supervise psycho-social counsellors. I was primarily based in Amman in Jordan, travelling into Iraq when the security situation allowed. During 2013 I worked in the refugee camp in Domeez, Kurdistan. Doctors Without Borders operates a hospital here, and I was responsible for providing psycho-social training and supervision to Syrian psychologists. My next mission, in 2013/14, took me to southern Bangladesh where Doctors Without Borders provides medical and psychological support at a refugee camp for the Rohingya people. What all these missions have taught me is that suffering does not respect national borders and, whatever the cause, is just a part of being human. It is only in the expression of this suffering that cultural differences become apparent. We can overcome these differences with respect and compassion, and can express our solidarity through action. What is your personal motivation? Solidarity with those in need, open-mindedness and an interest in other cultures, together with an awareness of the unspeakable suffering in many parts of our world, have moved me to use my skills and experience as a psychotherapist to alleviate suffering. What is a typical Doctors Without Borders mission? How many people are involved locally? The aid organization Doctors Without Borders sends assessment teams when situations such as severe crises, catastrophes or outbreaks of disease occur. They determine the most urgent medical and humanitarian aid needed locally, and plan the mission. The necessary logistics are established there, in cooperation with the responsible authorities, and at the same time an international team is assembled. Depending on the particular aid program, each international volunteer will be assisted by around 10 local helpers. Thanks to decades of mission experience, we’ve established a very effective system. How are the aid workers prepared, and what safety precautions have to be taken? We recruit only qualified specialists who then undergo 14 days of PDT, i.e. pre-departure training. Before travelling to their destination country, they are given another extensive briefing providing relevant information about the local culture, the security situation, and their roles. Around 60% of team members are medical; the others work in the fields of logistics, technology, personnel and finance, and anthropology. As volunteers, Doctors Without Borders team members are aware of the risks and dangers involved in their operations. A safety plan is drawn up for each project according to its particular level of risk. Doctors Without Borders team members are always unarmed. What has receiving the Nobel Peace Prize meant to Doctors Without Borders? The Nobel Peace Prize that Doctors Without Borders was awarded in 1999 recognizes the humanitarian aid we have provided, and signifies the esteem in which our work is held. The organization used the prize money to found its Access Campaign. The campaign lobbies for research and development into neglected diseases in order to drive affordable access to effective drugs. How important is it that business also shoulder its social responsibility? Thanks to support such as that from voestalpine, we were able to provide basic medical care and reproductive health care in the refugee camp in Lebanon’s Bekaa Valley. Around 430,000 Syrian refugees currently live in this camp, and our focus lies in treating pregnant women and newborn babies in the mother and child center. Doctors Without Borders has also been able to help war refugees in Syria, Iraq and Jordan, thanks to voestalpine. It is hugely important to raise awareness of the need for solidarity, and here voestalpine is making an important contribution by communicating with its employees and the public at large. Doctors Without Borders is very grateful for voestalpine’s exemplary commitment, and hopes that many more companies will similarly accept their global responsibilities. Together we can have an impact! Against the backdrop of the refugee crisis in Europe and the Middle East, voestalpine is donating the sum of EUR 1.5 million to the aid organizations Caritas Österreich and Doctors Without Borders. Half of the donation goes to local aid projects directly in war-torn areas, and the other half will help support refugees and integration in Austria. The Group regards this action as part of its social remit, and is particularly keen to improve the future prospects of young people living far from their native countries.